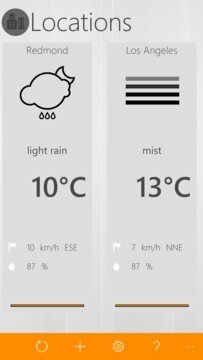 -the weather of the day. -forecasts every 3 hours over several days,. -the saint of the day and the following days. -possibility to adjust the appearance of the app by changing its colors via preconfigured themes and selecting sets of icons. (more themes will come). 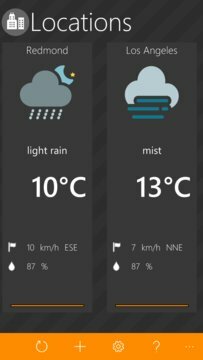 -live tiles and configurable with different weather forecasts. -info via the notification Center.